Our Clinic is specialised in oral surgery and rehabilitation through dental implants. At MALO CLINIC NUFFIELD DENTAL, we usually recommend Dental Implants as our preferred replacement for their missing teeth. Sometimes this is not possible due to multiple factors eg: pre-existing medical conditions and availability of bone. 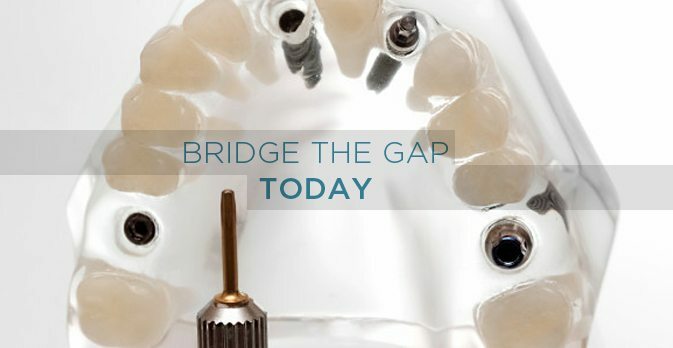 A bridge is made up of usually two or more crowns for the teeth on either sides of the gap — these two or more anchoring teeth are called abutment teeth. The false tooth/teeth in between can be made from gold, alloy, porcelain, or a combination of these materials and are referred to as “pontics”. Dental bridges can be supported by natural teeth. At MALO CLINIC NUFFIELD DENTAL Clinics, we do not routinely place bridges on a natural tooth and an implant at the same time. For more information please contact MALO CLINIC NUFFIELD DENTAL Singapore at, Kovan – 6281 4313, Serangoon Gardens – 6280 7909, Simpang Bedok – 6702 3238, Siglap – 6636 1303, Seletar - 6481 4261, Raffles Place - 6532 2644. Stay up-to-date with latest news and press releases from MALO CLINIC NUFFIELD DENTAL. Receive additional information about new services and products.